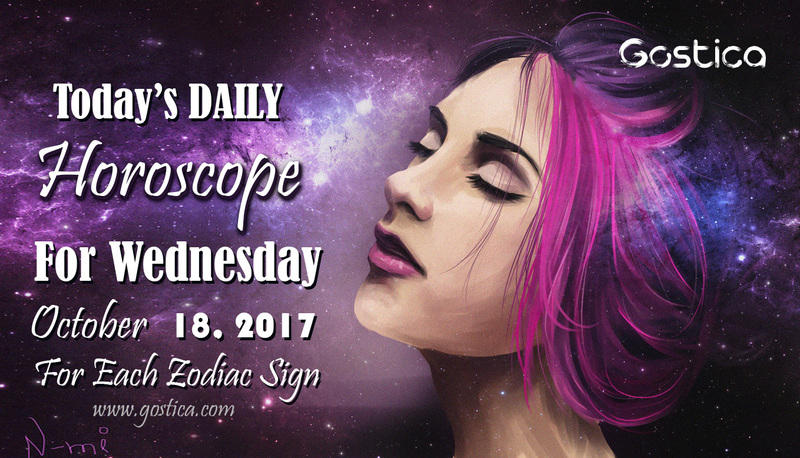 It’s Wednesday, the infamous hump day of the week, zodiac signs, and your daily horoscope is IN! Little things add up to big gains (or losses) today and the rest of the week. There is an opportunity to capitalize on what you’re already doing and maybe even add more value to your life than what you’re already experiencing. Things are happening with the dwarf planet Ceres, who is about abundance and having enough from money to love. Of course, there are many ways to define wealth, but when it comes to the role that Ceres plays in your life, it depends on where this planet is located in your birth chart. But rest assured that you will reap what you sow. If you’ve been kind to others, but have gotten the short end of the stick, you will experience your turn around. If you’ve been out of pocket for some time yet found a way to treat others generously, you will get your return in full and then some. Today, however, Ceres has is trine with dwarf planet, Pluto, and lovely Venus. This can throw in a bit of a monkey wrench when it comes to energy today. Pluto is ruled by Scorpio, and it just so happens that Jupiter, the planet of expansion is in the sign of, yep! Scorpio. Jupiter wants to understand why things happen, how to improve things. You will have good intentions, but they will have to match with others in order to have tangible results, or it will all be useless. This is the point you will have to address all your strength to! a way out, to give up something for something else. In short, you will have some difficulties, but you will have to overcome them sooner or later! Everything that could happen today will happen for sure, so be prepared to welcome news and storms all together! You do not have to bump your head before falling, however, just be careful to take things as fairly as possible. Many situations need to be developed and others are just being prepared. What matters is the attitude and you know it well because you have based your life on it. You know that in order to reach a goal you need the stamina and determination! In this day you can make important decisions concerning your job without however affecting your personal relationships. What matters most is simply reaching a goal that is convincing and can last as long as necessary. especially not neglecting the manifested needs of those who are next to you trying to distract you from superficial issues. Going further on in your own way may not be easy today because you have a lot more thoughts than those who should occupy your head and you will not always be able to put them in a row. So a bit of confusion will be normal, but it will also hinder someone who has commissioned a bargain or a job, which will apparently have little to do. You will have to try to disguise your difficulty in every way. The day may begin somewhat different than what you are expecting, although the most important thing is to work and feel satisfied with your work. You will find plenty of availability. The options you face will be more than one so you just have to try to pick the right one, for your situation also includes someone else. Do not forget it.